We prayed for an end to the day that lasted forever – and finally The Walking Dead has delivered. The aftermath of the conflict is character-heavy and a mess, but it’s wonderful to watch things get moving again. A lot happens in ‘The King, the Widow and Rick’. The Hill Top community is trying to work out what to do with their Saviour prisoners. Carol is trying to find a way through to a traumatised Ezekiel. Rick wants another deal with the Junk Yard community. 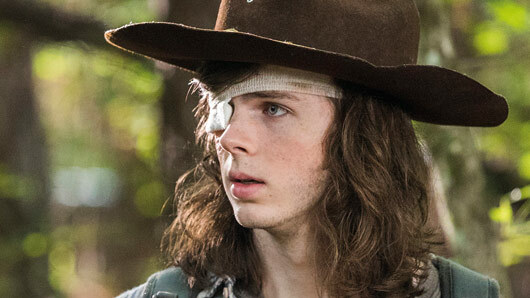 Carl tracks down the survivor Rick scared away, Sadiq, and invites him to join Alexandria. Rosita and Michonne, missing for most of the series so far due to conflicting actor commitments, go on a road trip. It’s a lot happening all at once, especially considering the last few episodes have moved at the pace of a confused snail. As with any episode of this nature, some stories are more interesting than others. Pairing Carl and Sadiq is an interesting introduction to the new character. Maggie and Gregory’s discussion about leadership makes Maggie’s eventual imprisonment of Gregory all the sweeter. 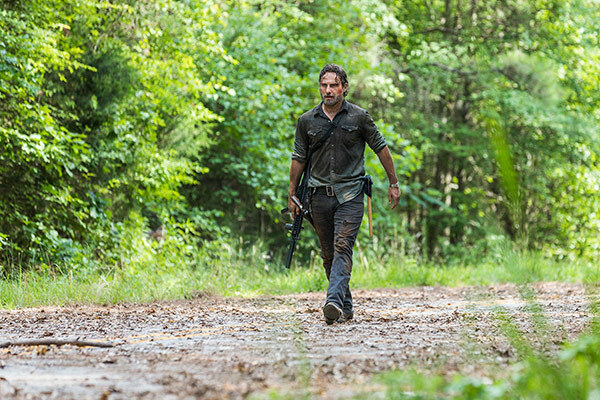 Elsewhere, Rosita and Michonne’s mission feels like an excuse to include the actors – and I have no idea what they’re trying to achieve with Rick. It’s still not clear what The Walking Dead is trying to do this season. Is it trying to wrap up the war against Negan? Is this another minor skirmish to be forgotten quickly? The war against the Saviours has been tiring for the best part of a season and any move to progress the story should be welcomed with open arms.